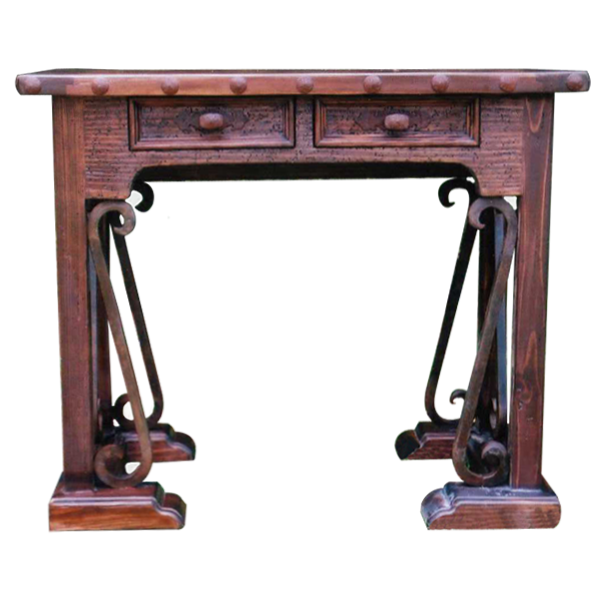 The innovative design of this handcrafted, Western style desk includes a reddish, rustic finish combined with hand forged iron details. The straight rim of the open top is adorned with intermittently hand tacked, hand forged, iron nail heads. Below the top rim are two, rectangular drawers, and each drawer has on its face a hand forged, iron, pull handle. The top is supported by square, cut legs and each pair of legs rest on a “U” shaped, solid wood base. 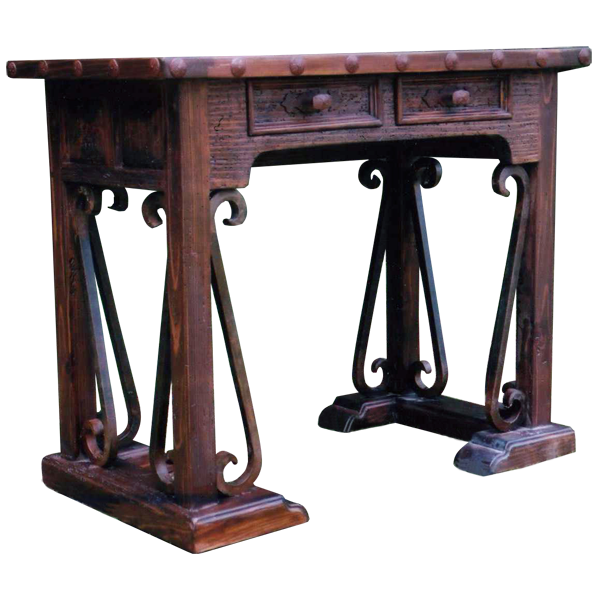 Each leg has on each side a hand forged, iron, curved detail in the form of an elongated “S”. The desk is made with the best, sustainable, solid wood available, and it is 100% customizable.